Founding principles of the Conservative Party. Short form. The adage says that there is no such thing as bad publicity. If you hadn’t heard of Colin Craig’s Conservative Party (CCCP) a week ago, you have by now. Talking heads are touting the Conservative Party as the post-2014 replacement for ACT as National’s coalition partner. History will remember ACT as sadly schizoid, consisting of two factions, a conservative faction (e.g., Muriel Newman, John Banks) and a libertarian faction (e.g., Heather Roy, Rodney Hide, Don Brash), one faction being in ascendancy at one time, and the other faction being in ascendancy at another. So, I thought I’d briefly consider the Conservative party from these two perspectives, a conservative perspective (this post) and a libertarian perspective (next post). Check out the Conservative Party’s founding principles. Here they are, in short form (below) and long form. There’s nothing objectionable here—indeed, as stated these principle are more libertarian than ACT’s founding principles and echo the libertarian mantra of individual freedom and personal responsibility—but for one thing, viz., binding citizens initiated referenda. The idea of binding citizens initiated referenda is a populist one. It’s been promoted in the recent past by populist (although not necessarily popular) parties such as the Direct Democracy Party, the OURNZ Party, and the NZ First Party. It has been said that democracy is the worst form of government except all those other forms that have been tried from time to time. But democracy plus binding citizens initiated referenda is even worse. It’s like two wolves and a sheep deciding what to have for lunch. Except that if the wolves win the referendum vote, a good government cannot simply ignore them. Popularity must trump principle. And this is inimical for the CCCP’s credibility as a conservative party. One of the principles of the Conservative Party (see above) is that government must protect life, freedom and property. But the Conservative Party would put our property, our freedoms and our very lives at the mercy of citizens initiated referenda! A challenging situation could arise if a Conservative Party candidate is elected as the MP for an electorate. He is then being sent to parliament to represent an electorate (not a party). I do believe that an MP is required to faithfully represent those who sent him even if he does not agree with them. A simple servant-master situation. To go back to the electorate and negotiate with them. If there is an impasse then to offer his resignation. The first and last options (1 & 4) I believe to be incorrect choices. The first, because it breaches conscience, and the last because it usurps the servant role of the representative (it would be unfaithful to those who sent him). This leaves only 2 & 3 as options in my view. Personally I would elect the third option. To close then, “no” I would not vote for “abortion on demand” but I would recognise that as an electorate MP this might require my resignation. If so then I would be pleased to stand aside so that a representative who was “more in tune” with the electorate could take my place. Farrar describes this as “a thoughtful nuanced response.” I think that “show stopper” is more accurate. Colin Craig prioritises the will of the majority over the life of the unborn child. A simple case of the people’s wishes being done and that my friend is democracy. Previous PostSir Bob Jones. Prophet of Nihilism. Advocate of Jackboot Civilisation. Pillar of Savage Society.Next Post‘Together New Zealand’ presents ‘TREATYGATE’. Hamilton. 16-5-13. Nothing objectionable? I don’t think you have critiqued the principles of the CCCP as well as you could have. 1. 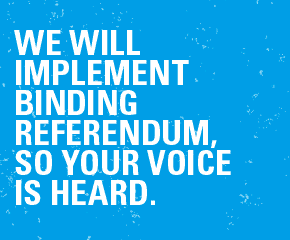 The rule of law and government by democratic process including [binding] citizens initiated referenda – you have rightly objected to the binding CI referenda. 2. Responsible, accountable, and limited government – nothing objectionable here. 3. Careful stewardship of natural and financial resources – so are you saying there is nothing objectionable to having the dollar and the gun in cahoots? 4. That government must protect life, freedom and property – nothing objectionable here, except there is no mention of *whose* life, freedom and property? Is point #6 a repeat or does it imply that there are freedoms to protect other than those of the individual? And lastly, why would a conservative party give itself an acronym that is the same as the USSR’s english translation (see http://en.wikipedia.org/wiki/СССР)? Name FAIL! Firstly, I think you have misconstrued point 5. I construe it as equal rights and equal privileges, i.e., my rights are the same as your rights, and my privileges are the same as your privileges. This point speaks directly to race relations in this country. I.e., some Maori have the special privilege of having dedicated Independent Maori Statutory Boards dictating to local government. I believe the CCCP supports the principle of “one law for all”. That is not objectionable. Thirdly, yes, I think point 6 is a repeat. I don’t think that rights can properly be ascribed to collectives. Of any size. Fourthly, I probably fail the libertarian purity test when it comes to “careful stewardship of natural and financial resources.” I think there may be a case for some government involvement in some natural resources, e.g., in management and conservation of forest parks. A privilege is defined in the OED as “a special right, advantage, or immunity granted or available only to a particular person or group”. I do not accept that privileges are compatible with rights. There are rights and only rights. So that leaves us in respect of the first 6 points that there really are only 5 points, and of those 5, only 2 get a libertarian tick, with the jury is out on 7, and it ain’t looking good for it with a 2/5 score for rights, when responsibilities are the other side of that coin. Terry, there is nothing wrong with privilege per se, just as there is nothing wrong with discrimination per se. It depends on the grounds. For example, it is a privilege to hold a drivers licence. Nothing wrong with keeping people who can’t drive safely off the road. The jury is not out on “the responsibility of the individual.” Personal responsibility is the corollary of individual freedom. It’s a libertarian axiom. Representative Democracy can be improved and the Swiss have shown the way. Would you rather Parliament has sovereignty as Michael Cullen holds forth, or would you rather us, the people hold sovereignty? I know where I stand and it is Direct Democracy 100%. I agree that in a private context, neither privilege or discrimination is necessarily wrong, but there most certainly is something wrong with privilege in a *political* context, just as there is definitely something wrong with discrimination in a *political* context. This thread and CCCP’s principles concerns a *political context* does it not? There *is* something wrong with having to obtain a drivers license from government rather than from a private road owner(s), or, are you advocating for government ownership of infrastructure? I agree personal responsibility is the corollary of individual freedom. The jury has thus far returned a 60% failure rate of CCCP’s principles to uphold individual freedom. What does that say about the tick for point 7 and personal responsibility? Terry, you’re not being charitable. When I read that the Conservative Party believes in “the freedom of the individual” and “the responsibility of the individual” I immediately understand that to mean that they support individual freedom and personal responsibility. At least, in theory. Even the National Party counts “individual freedom and choice” and “personal responsibility” among their core values. At least, in theory! Basically, what I’m saying is that there is no problem whatsoever with points 6 and 7. It is only points 1 and 3 that are problematic from a libertarian perspective. Don, you’re 100% wrong. 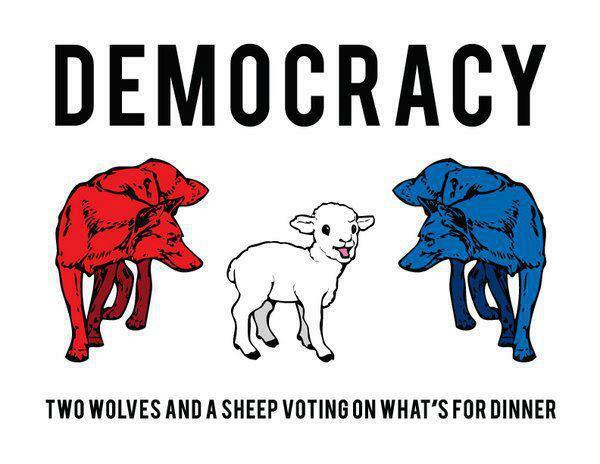 Democracy is the tyranny of the majority, and direct democracy only exacerbates the tyranny. Whereas, constitutional limits on the democratic process mitigate the tyranny. You have yourself said that responsibility is the flip-side of freedom. Freedom can mean anything one wants, so one must look deeper. My observations above look deeper and demonstrate that the CCCP’s concept of freedom is a freedom ‘FAIL’. A freedom “FAIL’ necessitates a ‘responsibility’ FAIL, since for every privilege granted to one man or group is a right violated of another, a freedom taken away *because* an unjust responsibility is legally prescribed. Tim, I categorise myself as a libertarian conservative. On the left to right scale, we both agree that we are being held back as a people by fools and flagrantly abused by socialist parties who haven’t a clue what they realty stand for and don’t care anyway. If you take libertarianism as the ideal objective you also need to recognise that to get the populace moving right takes time and patience. The reality is that Colin Craig and his policies in the main are much closer to the ideals we have set for ourselves. If his party implemented every one of its policies look how much closer to the goal we would be. His advantage is that he has buying power and the potential to choose the king. The reality is that Colin Craig and his policies in the main are much closer to the ideals we have set for ourselves. If his party implemented every one of its policies look how much closer to the goal we would be. KC, yes, you do have a good point there. Are you a Christian? If so, you’ll know that the Son of Man came not to be served but to serve … but also to do God’s will, not the will of a liberal electorate! Apparently, citizens initiated referenda are a bottom line for Colin Craig’s Conservative Party. I cannot accept such a non-negotiable, on principle. As a libertarian, ending the War on Drugs™ is my bottom line. Much as I like a much of what Colin Craig has to say, I can support neither him nor his party. Founding principles of the Conservative Party. Long form. A privilege is defined in the OED as “a special right, advantage, or immunity granted or available only to a particular person or group”. I do not accept that privileges are compatible with rights. Terry, the OED defines marriage as “the formal union of a man and a woman, typically as recognized by law, by which they become husband and wife.” Do you accept that marriage is the union of a man and a woman?